The official franchise of the Telebrands PAKISTAN has got the complete range of high pressure washers under one roof. Today, the company has come up with a top quality pressure washer that all the quality conscious customers will definitely find useful. The name of this top quality product is Black & Decker High Pressure Washer BW18. The Black & Decker High Pressure Washer BW18, as the name clearly suggests, is a heavy duty and professional grade high pressure washer that is powered by a gigantic 1800 watt motor. The Black & Decker High Pressure Washer BW18 has a maximum pressure up to 135 bar in total. 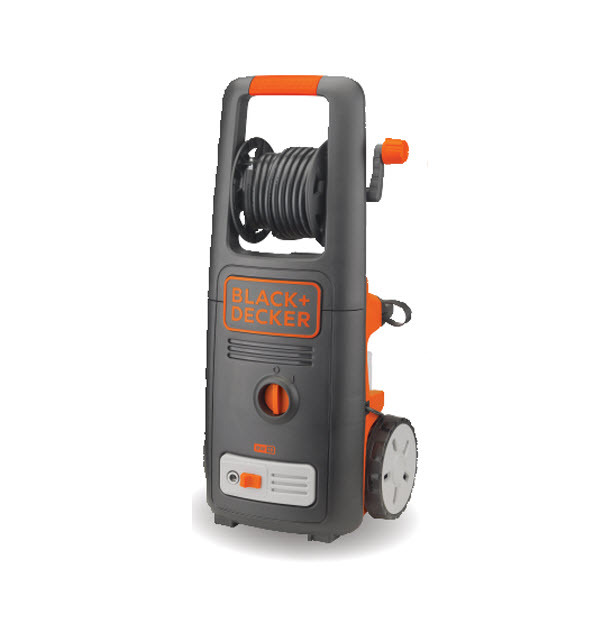 The Black & Decker High Pressure Washer BW18 has a maximum flow rate up to 7.3 Liters/Min and it comes with the 6 meters large sized hose for easy operation. The Black & Decker High Pressure Washer BW18 can easily withstand the hot water up to 50⁰ Celsius, so you don’t have to worry about anything at all. The Black & Decker High Pressure Washer BW18 features the aluminum pump material that doesn’t need any introduction for its reliability and durability. The Black & Decker High Pressure Washer BW18 can easily fulfill all you commercial purposes in an efficient manner. If you have made up your mind to purchase this top quality material, then all you have to do is to just dial the number 0333.4115583 from your landline or mobile number, that’s all.